Evidence of al-Maturidi’s profound influence upon Islamic theology during his time and discusses his method, theory of knowledge and theological ideas concerning the world, and the relation of God to man. 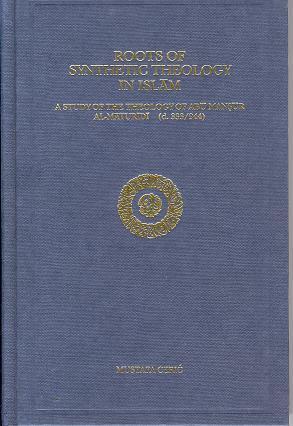 Emphasizing in particular al-Maturidi’s magnum opus, the Kitab al-Tawhid, the author explains his view of the historical development of Islamic theology in light of the three elements of ta‘ah (faithful obedience), bayan (elucidation) and the naql-‘aql (tradition/reason) dialectic. He concludes that al-Maturidi’s influence upon the overall development of Islamic theology is not only profound but original, not only in his development of Islamic theological theory of knowledge and in his scientific way of research, but also in his being able to resolve the naql-‘aql conflict. Good title on Maturidi aqidah (aqeedah) doctrine and theology. Mustafa Ceric is a Professor at the International Institute of Islamic Thought and Civilization in Kuala Lumpur, Malaysia. Formerly the Reis-ul-Ulema, President of the Council of Ulema, Grand Mufti of Bosnia-Herzegovina. He graduated from the Medressa in Sarajevo and Al-Azhar University in Cairo, after which he returned to Bosnia, where he became an imam. He then spent several years as Imam of the U.S. Islamic Cultural Center, during which time he earned a Ph.D. in Islamic Theology at the University of Chicago. He left for Zagreb in 1987 where he became a practicing imam at a learning center. Mustafa Ceric is the author of a number of books in Bosnian. Jzk for the clarification. The bio was taken from the publisher. Does anyone know where I could find a copy of the book? Try islamicbookstore.com. It seems to be the cheapest seller. I have scanned a part of this book. If you (attahawi.com) want it, I can send it to you. I have the whole book. salam aleikum,could you please scanthe whole book n share it with me? I don’t have the whole book scaned, only a part. I don’t have a scanner anymore, so I only can take pictures of the rest (it’ll be readable in PDF, though not high quality). I take a picture and post it here so you can see. I’ve been intending to buy this for a while but it’s not available anywhere! If someone is able to scan and post, it would be greatly greatly appreciated.